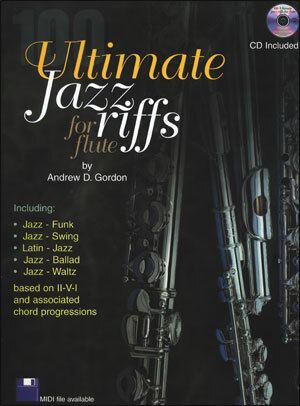 100 Ultimate Jazz Riffs for Flute by Andrew D. Gordon consists of, as the title suggests, 100 Jazz riffs based on common chord progressions used in jazz such as the II-V-I, III-VI-II-V etc. in both major and minor keys. 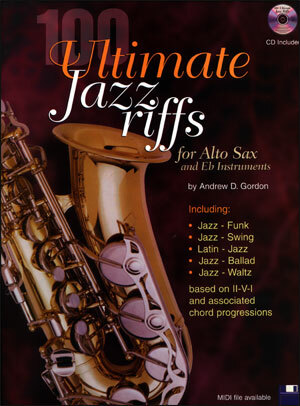 There are five separate sections: Jazz Swing, Jazz Ballad, Jazz Funk, Jazz Waltz and Latin Jazz. 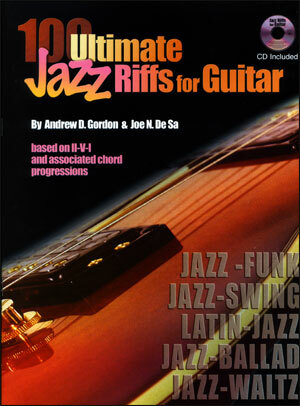 Each musical example has a single note improvised melody line with the chord progression At the end of the book there is the chord progression for the popular jazz standard "Blue Moon" showing you how to use various examples from the 100 riffs to create an improvised solo over the chord progression. 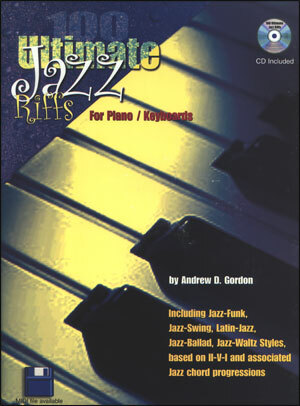 By demonstrating this technique you can pick most jazz standards and create your own improvisational ideas using the book. The CD is recorded with the flute playing the melody line along with a rhythm section of piano bass and drums. All the examples are recorded with the flute and the rhythm section, as well as the rhythm section without the flute and with the more difficult examples the rhythm section is recorded at a slowed down tempo. 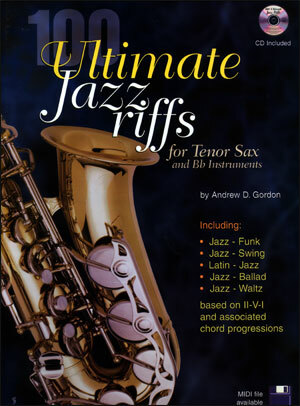 An absolute must for musicians learning and playing various jazz styles.